Size of Property : 2,409 sq.ft. OBG is proud to offer this 3 BR apartment on Higher floor in Downtown Dubai Forte 1. Forte is superbly located on Mohammed Bin Rashid Boulevard,Downtown Dubai and forms part of The Opera District, offering an unprecedented life for its residents. 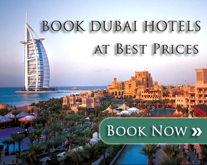 10% payment on Purchase date plus 4% Dubai Land Department fee.